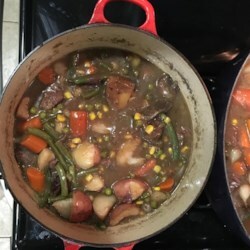 This stew had a great texture but not much flavor. The meat was incredibly tender but I had to add a lot of seasonings to give it any flavor at all. OK start for a recipe but it needs work.